Interpretive signs were developed to complement existing signage, with a similar artwork style, content and colour scheme, yet remain distinctive in their own right. 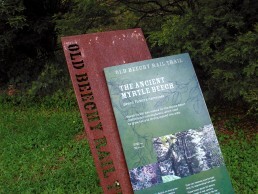 Nine key station signs and 15 interpretive signs, with screen printed graphics, were developed for points of historical interest along the trail. 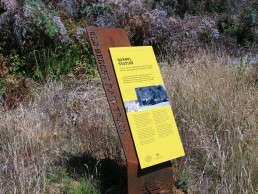 Seven environmental signs, with digital print graphics, were developed, which highlight significant types of vegetation along the trail.